What sort of place was Austrey in the late Tudor period and what do we know about the inhabitants? It was of course a typical farming parish and most of the inhabitants were farmers or labourers judging from the parish register which has a particularly well kept record of occupations from about 1558 onwards. The surviving evidence of the field layout, crops and farming methods is scattered and fragmentary, however tantalizing impressions of parish life can be gleaned from probate wills and inventories, land titles and deeds and court records. These surviving records clearly show that the Austrey inhabitants operated a classical open field system cultivating communal field strips and pasturing their cattle on the meadows. But this communal system was gradually breaking down through farming innovations - particularly the conversion from arable to pasture farming through a series of piecemeal enclosure and exchanges. One of the earliest of the deeds that survived - a fascinating glimpse of Austrey's great open fields from medieval times - is a "Bargain and Sale" dated 1593, from William Spencer, a husbandman of nearby Kings Newton, to John Spencer of Austrey, his son and heir, a rising yeoman. This deed provides a very interesting if somewhat confusing list of lands and field names some of which can be identified from the nineteenth century Tithe Map (W.R.O. CR 328/1/1-2). The 1593 Agreement records William's grant to son John and his wife Agnes of several arable selions or field strips in Knights Acre and Rood Furlong which William had got in exchange for lands in Raphes Greaves belonging to a certain Bartholomew Baker "now enclosed and helden in severalty". William also mentions other field strips of arable land in Myrydale on Stockwell Brook, under Hastley Hill and on Salt Street, and Gylden and St. Mary's Green in Hasley Field "had in exchange" from Henry Kendall, gent. These had been exchanged for Spencer lands at the end of Kendall's house "now enclosed and held in severalty". In Ridgeway Hill Field (the third of the great surviving fields) William describes arable selions on Nantwell Furlong "butting and shooting upon Holywell Brook" and others on Scalde Hill in the same field. Two roods of meadowland in Long Meadow, belonging to Spencer and a certain Christopher Capenhurst of Kings Norton, and a half acre of meadowland in Deadamore and others in Littlemore "held in exchange" by Kendall and Capenhurst, are also mentioned. These appear to have been operated by a complex system of yearly exchanges "every second year by turns". The whole complex holding with the William Spencer's house or messuage and all appurtenances was sold or ceded to John Spencer and his wife Agnes for a peppercorn rent. This bartering and exchanging of farmland between yeomen and gentry families like the Spencers and the Kendalls continued well into the seventeenth century, into the time of the Stuarts and beyond. In 1616 Henry Kendall for example sold "24 lands or selions of arable ground with appurtenances lying within the three fields of Austrey" to John Spencer, listing the scattered lands along Becke Lane and others jumbled up between the lands of Henry Becke, Roger Clarke, Thomas Capenhurst and John Orton &c.
In addition to these exhaustively detailed deeds, indentures, leases and agreements describing the sale or leasing of individual pieces of pasture and lands scattered over the parish, we have a particularly full record of Austrey's Elizabethan inhabitants with their occupations in the parish register. 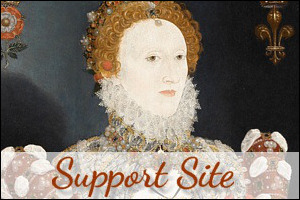 Altogether the register records around 112 resident families from the 1550s to around 1600, spanning the reign of Elizabeth I. This suggests an estimated population approaching 200, allowing for an increase on the 42 resident households recorded in the 1563 Diocesan Census. One of the earliest register entries, dating from 1559, records George Petcher's marriage to Margerie Kinge, where his occupation is given as "smith" ie. blacksmith. There follows a continuous list of well kept entries conscientiously recording the names and occupations of the inhabitants' presenting for baptisms, deaths and marriages to the end of the Elizabethan Age. Those described as "gentlemen" include George Kendall already married to Cicely (1569), Francis Kendall married to Joane (1574) and Hastinge Wolfreston from Staffordshire who married Alice Molde in 1600, but is not subsequently recorded in the parish register which suggests that he returned to his home county with his Austrey bride. The Kendalls were a prominent family in Elizabethan Austrey, established in the parish well before 1550, who occupied a position as lords of the manor similar to the Moores in Appleby. For most of the early modern period they were the only gentry family actually living in the parish claiming this status, and their inventories show increasing prosperity. Henry Kendall, who died in 1592 with assets worth £108 left a large brood of children by his second wife, Margaret. Some of the other residents described as yeomen in the register include John Clay who married Mary Charnels in 1578. 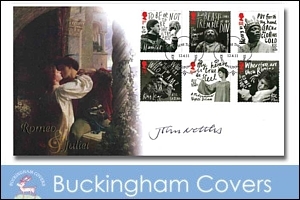 William Clarke married to Elizabeth Taylor in 1583, William Hill married to Bridget Crispe in 1596, and Nicholas Doewell married to Alice Beck in 1599. These names are familiar from the Elizabethan wills and inventories, agreements, leases and land title deeds mentioned earlier. Some further mention of these villagers as witnesses or "appraisers" of inventories can be gleaned from the handful of Elizabethan probate wills and inventories that have survived. Three of those entered in the Austrey register, Roger Molde, Randolf Orton, and William Stanton are described in the register as "clerks" or parish clergy. At least two of these clerks occupied the Austrey living as incumbents. Judging from the frugal possessions listed in the inventory of Randolf Orton's widow in 1609, the living was not particularly well endowed at that time. Among the parishioners described as husbandmen are Roger Clarke who married Gooddyth in 1583, Robert Brown (entered c.1585), William Chetle who married Alice Taverner in 1587, Robert Bull married to Elizabeth Orton in 1597, and William Brundred betrothed to Isabell in 1600. Though some of the farmers were not particularly wealthy they did not neglect their poorer neighbours. Thomas Page (1592) and William Becke (1600), both described as "husbandmen", gave 12d and 2s respectively for 'the poor man's box' in Austrey. We know that a great wave of educational enthusiasm swept across the midlands in the Elizabethan period. John Bentley who married Alice Warde in 1581 and William Bacon who married Elizabeth Adam in 1584, are both described as "schoolmasters", and might well have taught at a small school in the village. Diocesan subscription books provide lists of the schoolmasters who complied with an enactment of 1562 that required them to subscribe to the Church of England's thirty nine articles and subscription books from Lichfield show that at Austrey was among the parishes served by licensed schoolmasters after 1584. Among the labouring population the register records a great variety of traditional trades and craft occupations: these include the indispensable village blacksmiths, George Petcher and Thomas Cooke, and the village wheelwrights, Roger and Robert Taylor who performed a vital role shoeing horses, mending farm wagons used for harvesting crops and taking farm produce to market. John Harfocke the butcher and Christopher Wilson the village baker helped to put meat and bread on the table. Thomas Bladon, Robert and William Broomfield, Henry Taverner and John Garratt, all earned their living as carpenters, and David Evans worked as a sawyer. This was the time of Tudor re-building. Also connected to the building trades are Cipprian Holte and Thomas Lagoe, both described simply as "freemasons". William Hull and Robert Royle are described as joiners, Robert Holland worked as a nailer and Robert Martyn plied his trade as a thatcher. William Watson is listed as a roper. The cloth industry is well represented by tailors and weavers, including Richard Archerd, Henry Taylor and Thomas Snape the tailors, and Robert Arnolde, Dennis Swanne, Thomas Chetle, John Heawarde and Thomas Orton, who are all described as weavers. William Hull is described as a glover (the trade of Shakespeare's father). Roger Taylor's will and inventory from November, 1554 provides a generous bequest of 4d for the "poor men's box" and provisions for Richard Mixson, his son in law. He leaves Thomas Taylor a "charger" (presumably a carthorse), and bequeaths to Elizabeth Brown one strike of malt, and to Joan Taylor his wife "six coffers with all that is therein to do withal what her pleasure is at all times" entrusting his son Roger and his daughter-in-law Elizabeth to provide her with "meat, drink and clothes". This was a fairly common arrangement to ensure his widow was well looked after. Cottage craftworkers usually came from the ranks of the labouring population, although some were smallholders who combined part-time crafts with husbandry as is shown in the Austrey register entries from the 1560s which variously describe Richard Martin in one entry as a day-labourer and in another as a thatcher, and John Snape as a day-labourer and a fletcher, or arrow maker. Robert Martin (probably Richard's son) left behind a very interesting will and inventory dated from 24th October, 1599 which reveals that he was following in his father's footsteps as a thatcher. He left behind in the house a table, a form, chair, cupboard, brass and pewter and other implements. The inventory lists "a bedstead, four coffers, napperyware with the mattresses and bedlinens" in the bedchamber. In the high chamber - a favourite place for the storage of produce to keep it warm and dry in the attic - there was a store of apples, cheeses, and a tub. In the kitchen were pots, two bottles, and coals (for the winter) and in the buttery, looms, butter, and a kettle. Altogether counting the outside corn and hay, timber, swine and poultry, his apparel and the money in his purse, he was worth £17.5.0. An inventory drawn up for Richard Wilkinson in 1549 appraised by Richard Kendall, Richard Molde, John Molde, Robert Bromefield and John Spencer shows the fairly meager possessions of a typical cottage craft worker . In the house was a "folding table, a coffer, an aumbre [? ], and two old chairs. In the chamber a mattress and bolster, flaxen and hemp sheets all belonging to a bed, a coffer, a brass pot, three pans old and new, twelve pieces of pewter, candlesticks, a salt cellar, a trencher [a wooden platter], spoons and a skillet" &c.
The surviving evidence from the wills and inventories and the register tends to suggest that some of those described as day-labourers in Elizabethan times worked as agricultural labourers in the harvesting season and as cottage craftworkers in winter. The listing of spinning wheels, looms and stocks of flax, wool and yarn in husbandmen's inventories provides ample evidence of part-time domestic cloth production, a tradition which continued well into the seventeenth century. Other more occupations connected to farming include Christopher Joanes and John Stytch, who are identified as "herdsmen". There were probably more of them seasonally engaged either casually or full-time in this essential occupation, herding sheep and cattle onto the meadows and grazing pastures. The rest of the parish were general day-labourers, among them William and James Bate, John Bull, John Cater, John Freeman, William Coggreave, Robert Erpe, Francis Harvey, Thomas Hill, Robert Loe, Thomas Marshall, Robert Martyn and Michael Milner. 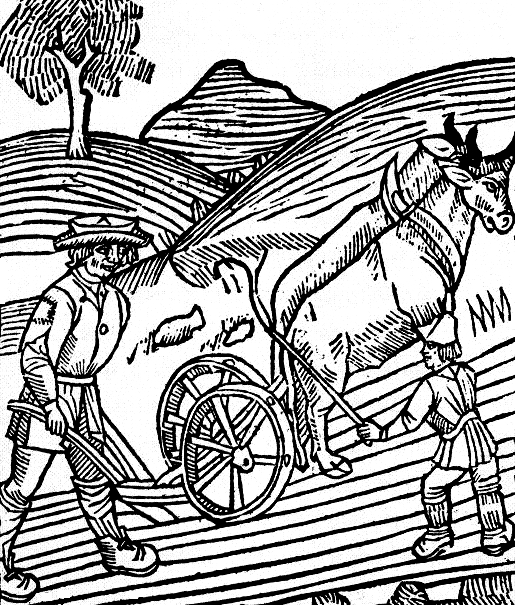 Some labourers worked as servants to craftsmen or as seasonal craft-workers, like Martyn the thatcher, mentioned earlier and John Snape the arrow-maker. Labourers were sometimes called "servants in husbandry" which is probably why George Smith is variously recorded as a servant or a labourer. Servants were not very visible in the records. Some of the male servants like Thomas Erpe (the son of an Austrey wheelwright) were recruited from within the parish but most of the servants named in the records appear to have come from outside parishes. Servant maids such as Alice Juthley, Elnor Wilks and Elizabeth Blountt, who are recorded in Austrey before 1600 were obviously new to the parish since none of these names re-occur in the registers or parish listings after 1600. Alice was servant to Robert Crispe, yeoman, Elnor Wilks served Thomas Taylor, a husbandman, and Elizabeth Blountt was servant maid to the widow Margaret Orton. The most common type of domestic servant referred to in the wills was the 'maid servant'. This title attached to young girls who were taken in to assist in household duties or to take care of aged householders in their declining years. John Perkins of Austrey reveals the close affinity that could develop between master and servant when drawing up his will in 1618. Long after the end of the Elizabethan era but no doubt following an age old tradition, John promised as an annuity to each servant living in at the time of his death, a ewe and a lamb (the customary token). However on Ann Farren, his maid servant, he bestows the special reward of a cottage in Potterstotton in Warwickshire mindful of 'the great paynes she hath taken with mee in my weakness'. Although such gifts were rare, decedents often provided appreciatory bequests as a reward for services in their infirmity. Several Austrey wills and inventories record small payments to servants for wages or services, an example being the husbandman Roger Taylor in 1568, who left his servant Catherine Broomfield besides her wages, 'one good smock or money to bye her one'. The probate wills and registers tend to confirm Ann Kussmaul's observation that being a servant was "a stage in the occupational life-cycle". However a good marriage could sometimes offer a way of leaving service and setting up as a smallholder, as is shown by Thomas Heire's elevation from servant to husbandman in 1607 after marrying his employer's eldest daughter. The Austrey register records eight servant marriages in the Elizabethan period. One entry records the marriage of two servants from the same household. Six of the female marriage partners were "servant maids" marrying farm labourers or craftsmen. The remaining male servant is described as a day-labourer after his marriage which suggests that he left his Master's employ. Servants commonly changed status after marriage. Marriage usually signalled departure from service as happened when Elizabeth Wilson left the employ of Robert Broomfield, an Austrey carpenter, to marry a day-labourer in 1595, or when George Smith married Elizabeth Martyn in 1599 seek work as a day-labourer. Although "servants in husbandry" or bonded farm workers living in are not clearly identified as such in the probate wills their presence is suggested by references to "farmers' men". In common with the menial servants who lived in and worked about the yard, servants in husbandry were protected from endemic food shortages and other privations by their attachment to households at fixed rates. Their economic status varied according to their responsibilities and length of service. Thomas Heire's inventory which was enrolled in the Leicester archdeaconry court in 1588 is the only Austrey servant inventory to survive from the Elizabethan period. Most servants would have not have needed to draw up a will or leave an inventory. He probably moved to Appleby shortly before his death and his comparative wealth suggests that he occupied a special place in the servant hierarchy. As a servant in husbandry with his own smallholding, he was comparatively prosperous by smallholder's standards with goods together with a lease worth £4.10.0, "corne and grasse in the fielde" and livestock, altogether worth £21.16.10. The kitchen and scullery maids who slept on trundle beds in the kitchen, or the stable lads who slept in the chambers above the stables, were poor by comparison. It is hardly surprising that none of the younger, menial servants left inventories. This brief account of Austrey's Elizabethan inhabitants gives only a fleeting glimpse of village life, but the wealth of fascinating documents relating just to this one village -scattered in local and national archives - show that there is plenty more to discover about Elizabethan villagers. Wills Files B/C/11. Austrey wills listed in Lichfield Wills and Administrations, 1515-1652. ed. W.P.W. Phillimore. Index Library, vii, 1893. L.R.O. wills, Thomas Heire, servant, 1588. inventories PR I/61/122. Will of John Perkins, PROB 11/132/71. A.S. Kussmaul, 'The Ambiguous Mobility of Farm Servants', ECHR, 2nd Series, 24 (1981), 224 and Servants in Husbandry, pg. 24. A. Roberts, Appleby and Austrey, 1550-1700, Adelaide Uni. Ph.D. 1984 (copy in W.R.O).